Every time we move, we come into the same situation: the plugs do not fit into the wall sockets because of their differences in shapes. This time, it is not only the difference in the shape of plugs and wall sockets, but the difference in electrical output as well! 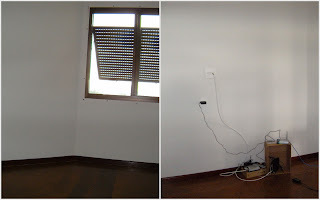 All our electrical appliances are for 220V - 50 Herz, while here in Brazil the output is mainly 110V - 60 Hertz. 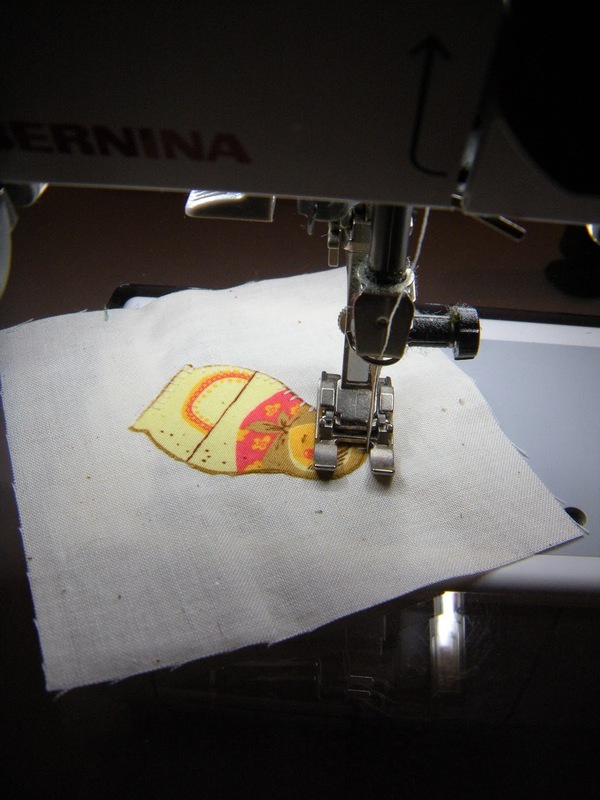 Well, can you imagine how much I love my Bernina?! This Rolls Royce of a sewing machine you can just plug into the wall without even blinking and to worry if it will blow up or not! With it's build in transformer it sews all around the world! It's only a matter of 'cutting the cord' and change the plug! Take a deep breath and just do it! I did it and I can tel you that the operation is accomplished! My Bernina is sewing again! And I feel already much better! In the meantime, a new washing machine has entered the house and that was finally the end of doing the clothes by hand! Pffew, it took a few days to get the stack of linen washed and back into the cabinets. During the past weeks I had to change my mindset that washing only can be done with warm water: here in Brazil most machines do not heat the water and all programs are with cold water. In the kitchen area there is no hot water output, unless you install a special machine. Hmmm, well, I will adapt to this new concept and boil some water if the pots and pans are very dirty, but still, it feels a bit strange. 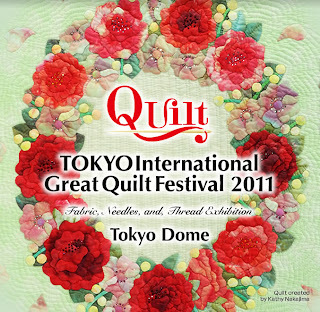 The following link to Tokyo International Quilt Show (click here) I found on Isa e Kika's blog. Pictures are taken by Robots-Dream's. 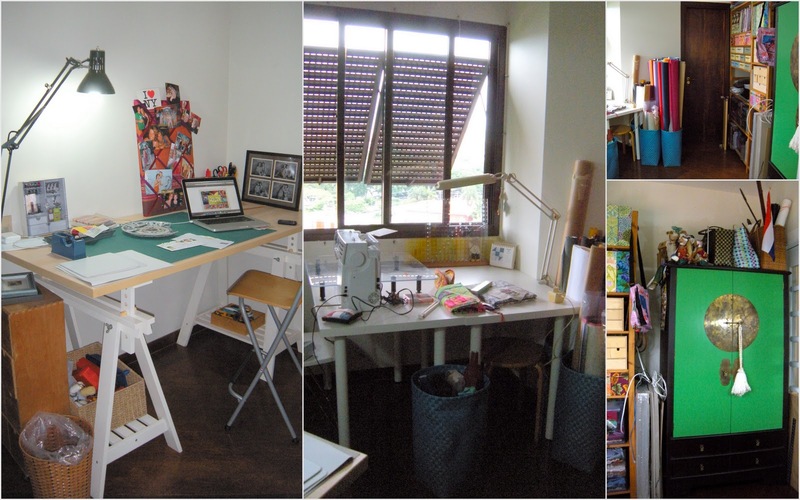 Welcome in my new art-room! After one week of hard work all 324 boxes, including beds, tables, chairs, etc, almost everything is unpacked and has a new destination in the house. Every item goes through our hands and that makes it so much work. 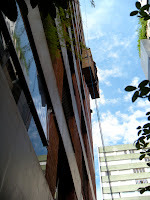 Because the apartment is much smaller than the house we had before, we have to decide what can stay and what has to go. It would have been so much easier if we had known where we were going when we packed the house in Vietnam. But that has not been the case and all furniture has been in storage for almost 19 months. Some people who passed by the street, took card boxes and left all the wrapping paper on the street, what a mess it was! Fortunately it did not rain! 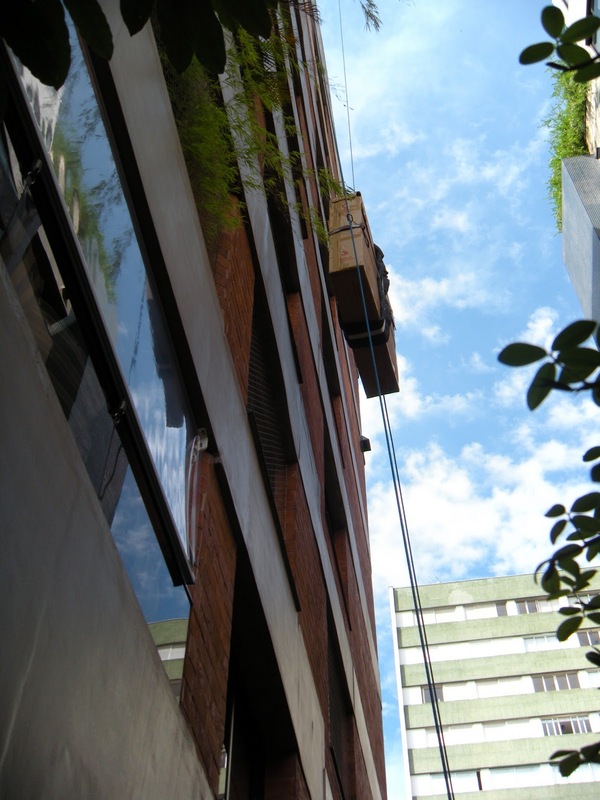 Our apartment is on the 8th floor and two items, the sofa and one cabinet, had to be 'air-lifted' because they did not fit in the elevator. This was my room at the beginning of this week, and now it looks like the picture above. I know, it is still a bit messy with loose cables from the computer and TV, and not everything in its final place, but I am so happy to have it all around me again! 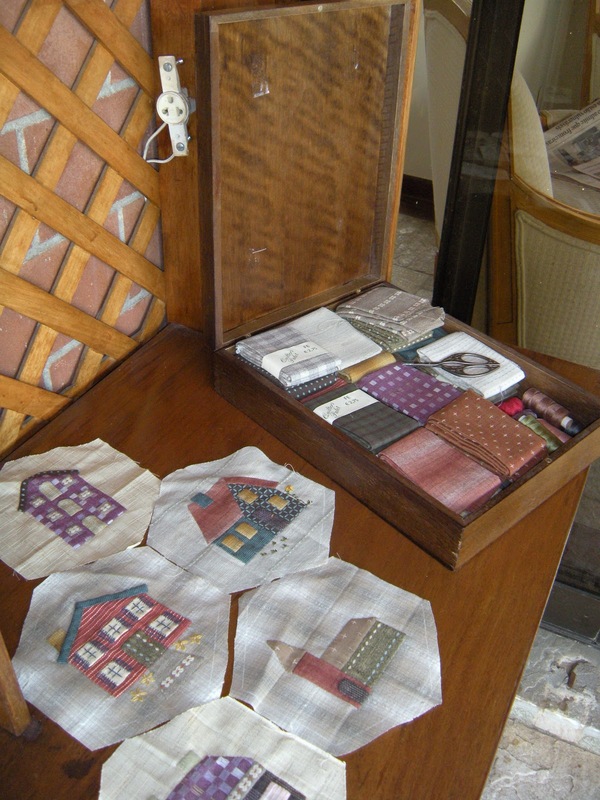 My cabinet with fabric covered boxes made to measurement. 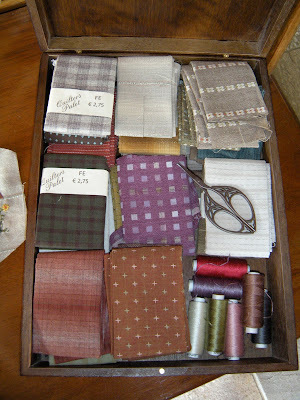 Inside are beads and ribbons and tools for box making. 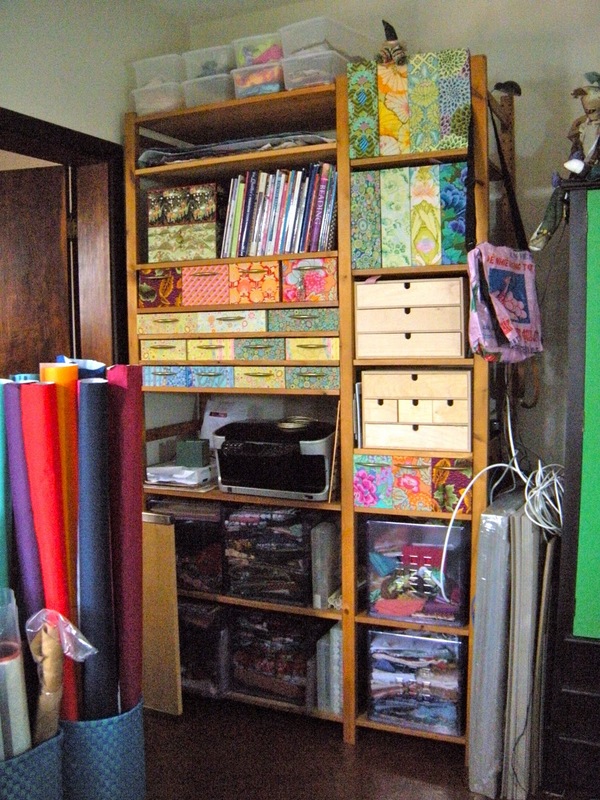 On the two bottom shelves crates with fabrics. To the right of the cabinet are cardboard sheets, enough for the coming year. To the left are rolls of bookbinders linen. It's raining in São Paulo and I think about all the victims from the torrential rains and devastating landslides near Rio de Janeiro. At the same time there is the news about Brisbane and surrounding areas and the high waters in my home country Holland. One of the biggest difference is, as far as I can see, that mainly poor people are effected in Brazil by this natural disaster, and I have no idea if their neighbours will reach out to them when rebuilding their lives. This compared to Australia, where many stand up to help out their effected countrymen. This past week I finished one more block for my House quilt and... I have been to the quilt shop not too far away from my place! There were some lovely ladies who really tried to understand what I wanted to say. The language is some sort of a roadblock that has to be taken and I am working on it. In the meantime I am happy to have this shop Ida e Kika (click here for the link) so nearby to get inspired! It is pouring at the moment and my dog Bikkel is scared for the thunderstorm that is nearby. Today is the last day the apartment is empty and the thunder echoes through the bare rooms. 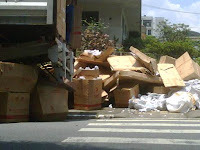 Tomorrow the movers are bringing in all the boxes and furniture that has been standing in the port of Santos for the past 6 weeks. Can you imagine how thrilled I am, never have been so much, to have chaos in my house for the next coming days?!! My sewing room is ready to receive the table, cabinets, books, cardboard, papers, fabrics etc. The room is not so big and therefor difficult to take a picture. I hardly can't wait to see this room transformed into my new art-room. ... 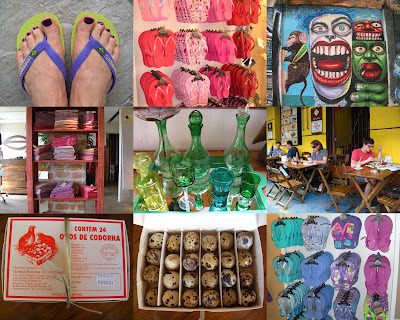 I have been seeing many more colourful corners, walls and objects while walking around. 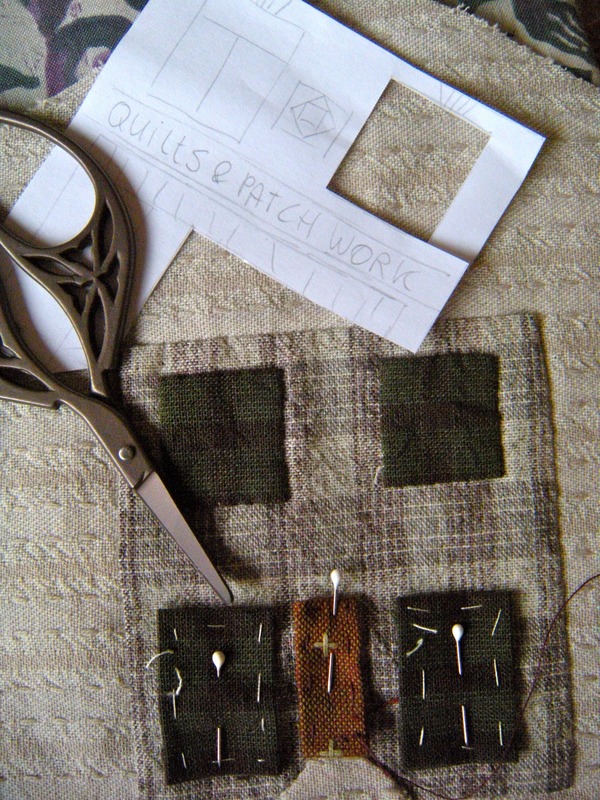 The kids are back to their own places and I try to get back into the routine of sewing. My DS made me a new business card and helped me to chance the picture of the above header. What do you think of it? 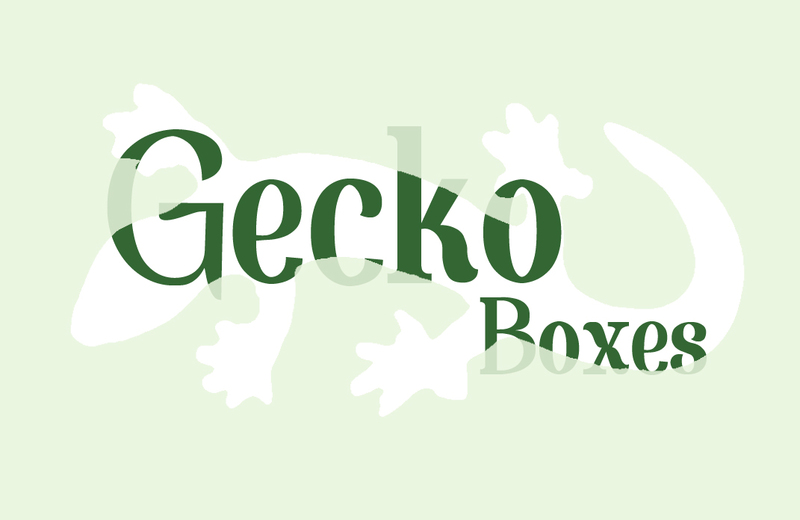 Next step will be to chance the logo on my website. That will happen when I know how and when and where the workshops are going to take place. Last week we went to a small town just outside São Paulo named Embu. 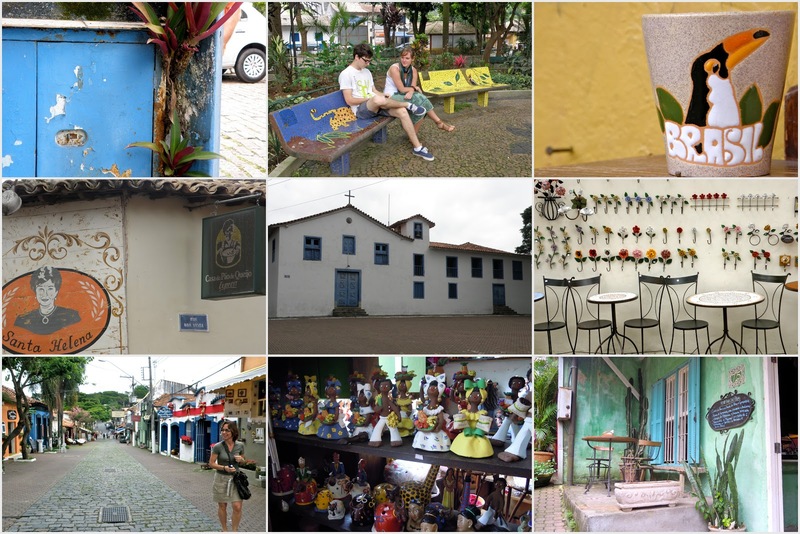 It is a bit of a touristy place where souvenirs are laid out in almost all the shops and an artist market on the town square sells home made stuff. We didn't buy much except for a hammock for many wonderful lazy afternoons to come! The last month of 2010 has been such a hectic time, a roller coaster of emotions and impressions that I want to sit down and take time to relax and read, listen to the music and do a bit of sewing. My first stitches of 2011 in my new home in a new country! In Holland we have the word 'lappenmand' which means remnant basket. Well, this one from now on is my lappenmand until our container comes with my real stuff! There is hope: maybe in 2 weeks time it will all arrive on my doorstep. 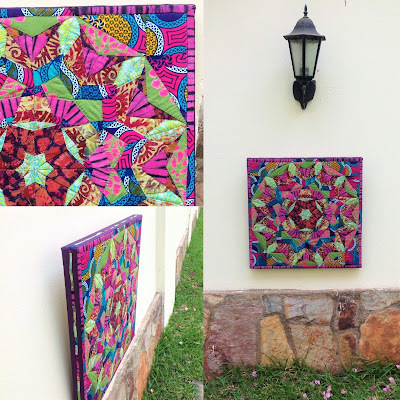 Through my blog posts I will keep you up to date with my African fabric adventures! 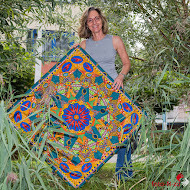 African Kaleidoscope no 1 is finished! Hop over and click Like if you like my page! All original images and text on this blog are copyright and the property of Gecko Boxes. Simple theme. Powered by Blogger.